What types of academic programs does MSPS offer? 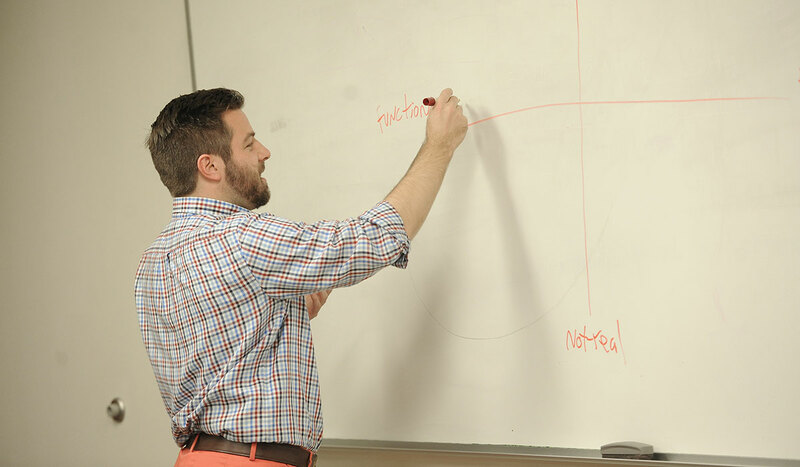 Catholic University's Metropolitan School of Professional Studies offers three specialized Master's Programs in addition to our Graduate programs in Management in conjunction with the School of Business and Economics. We have Undergraduate programs for those interested in completing their undergraduate (bachelor's) degree or gaining professional knowledge through a number of career-oriented certificate programs. A current course schedule may be viewed by visiting the Courses and Schedules page on the Metropolitan School of Professional Studies website. How do I know which academic program is right for me? Selecting the right program for you is a critical first step, and the staff at MSPS is dedicated to helping you sort through your options. We encourage you to meet with our Associate Director of Admissions so that you can discuss your education and career goals and plan for the program that will meet your needs. To schedule a pre-admissions counseling appointment, please contact us or call (202) 319-5256. Does MSPS accept transfer credits for Undergraduate students? Yes, in most instances MSPS accepts a significant number of credits in transfer, including credits earned through military coursework for our undergraduate students. We recognize that the ability to transfer credits is often critical for facilitating one's educational transition, and, in response, MSPS has created helpful transfer credit guidelines. For information regarding your specific needs, we encourage you to contact the Director of Admissions at (202) 319-5256. Does MSPS award credit for prior learning for Undergraduate students? Yes, undergraduate students at MSPS may earn credit for prior learning in a variety of ways. Through portfolio development, students may be able to obtain undergraduate credit for college-level learning from experiences such as military service coursework, training programs, work experience, continuing education, community service, and volunteer activities. CLEP and DSST standardized examinations are offered directly on campus. In addition, Advanced Placement (AP) exam credit, and credits earned via American Council on Education (ACE) recommendations, may be considered for transfer into your program of study. For more information about MSPS's prior learning assessment (PLA) program, please visit the MSPS PLA website. What types of student services are available for me at MSPS? MSPS strives to deliver an unparalleled level of service to adult students. We view each and every student as a whole person with a unique background, talents, and needs and, thus, shape our student development program with the individual in mind. For more details about our student development program, please visit our online Student Development Resource Center. The Catholic University of America provides students with a vast number of resources including Career Services, Disability Support Services, Center for Academic Success, Health Services, Writing Center, Counseling Center, and more. How does academic advising work at MSPS? MSPS views each and every student as a whole person with a unique background, talents, and needs and, thus, we shape our advising and student development programs with the individual in mind. MSPS offers discipline-based advising, thus, ensuring that each academic advisor is an “expert” in a particular major or program. How do I apply to MSPS? You may apply online or via a hard-copy application form downloadable from the MSPS website. Online access as well as hard copy application forms and a listing of other application requirements may be found at http://metro.cua.edu/admissions/ . For answers to your specific admissions questions, we encourage you to contact the MSPS Director of Admissions at (202) 319-5256. When is your admissions deadline? We have a rolling admissions policy, and applications are always being accepted. We have classes beginning at various points during the semester, so it is even possible to enroll during the middle of a semester. Please contact an admissions representative for details. After submitting all of my application materials, when will I hear a decision? We try to process applications as quickly as possible. Once all of the application materials have been received, you should hear from us within 10 business days. Is it possible to complete a degree online only? Yes. Undergraduate students with 84 transfer credits may complete their Bachelor or Arts in Interdisciplinary Studies completely online. Master's Programs are in development to be offered online soon. Click here to request information. Information about tuition and fees for MSPS is available here. An admissions representative or advisor may be able to help you take advantage of financial aid, grants and scholarships. Yes. Visit our campus and experience an actual MSPS class in session. Meet our Faculty and current students. Classes meet Monday - Thursday 6:10pm - 8:40pm. You can also include a campus tour and visit with an admissions counselor. Click here to schedule your visit. Who is a typical student at MSPS? Will I "fit in?" Visit our student page to see information on MSPS demographics. Like us on Facebook and follow us on Twitter!